Melbourne’s Yarra River from the Bridge across Spencer Street. Wednesday, March 16, 2016 at 6.22pm. 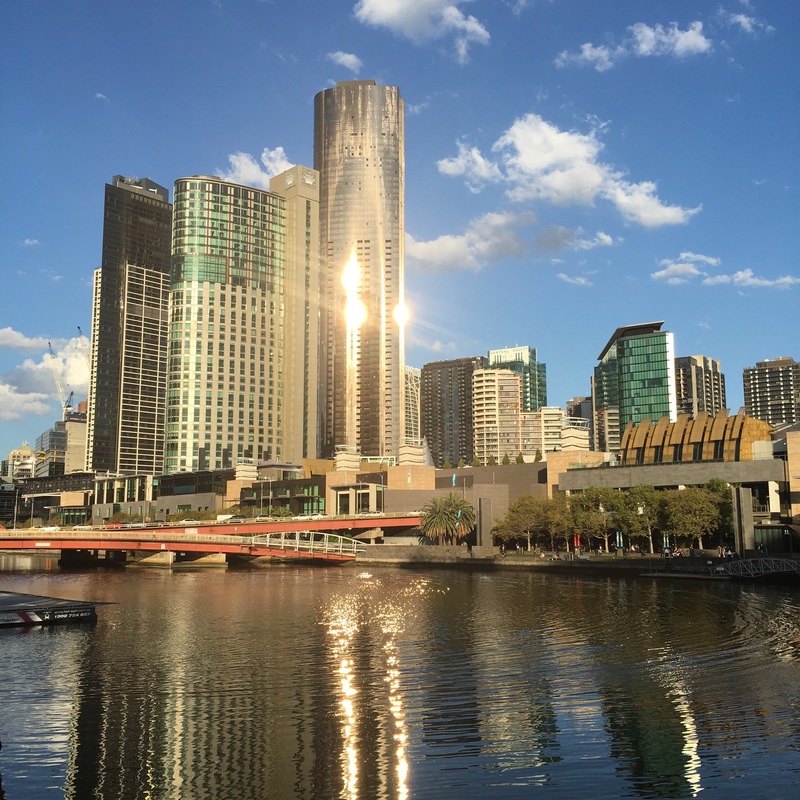 The late-afternoon sun shines on the side of Southbank’s glass towers with an abstract reflection of the riverside scene captured by the Yarra River.